Google is officially adding the Chrome browser to its Daydream VR platform. Google is officially adding the Chrome browser to its Daydream VR virtual reality platform. 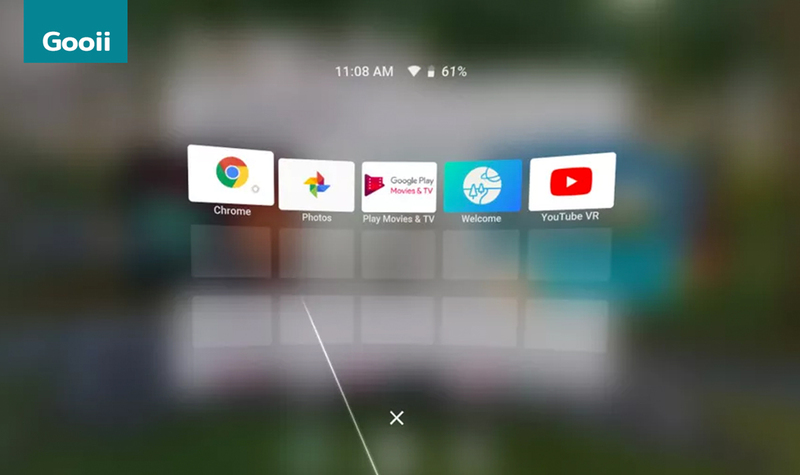 People using the phone-based Daydream VR View headset or the standalone Lenovo Mirage Solo can now access Chrome from their home screens. The VR version of Chrome mostly has the same feature set as its desktop counterpart. However, there’s an added “cinema mode” that optimises web video for VR viewing. Just as importantly Chrome supports the WebVR standard. Now users can access web-based VR experiences on their Daydream headsets. Daydream users have had access to VR Chrome for a while through test versions of the browser and app. But this announcement positions this version of Chrome as a stable, full-fledged browsing app, not an experiment or a conduit for WebVR. Daydream’s integration with existing Google products has been a selling point for the company, although Google VR apps have spread to lots of headsets; it released a YouTube app for the Samsung Gear VR just last week. There aren’t necessarily people clamouring to shift all their web browsing to virtual reality. But a full-featured web browser is useful for doing things like looking up tutorials for a VR app — especially in a self-contained headset like the Mirage Solo where you can’t just switch back to normal mobile browsing. If you wish to work with the talented Virtual & Augmented Reality, web or app team at Gooii Nottingham then please get in touch here.